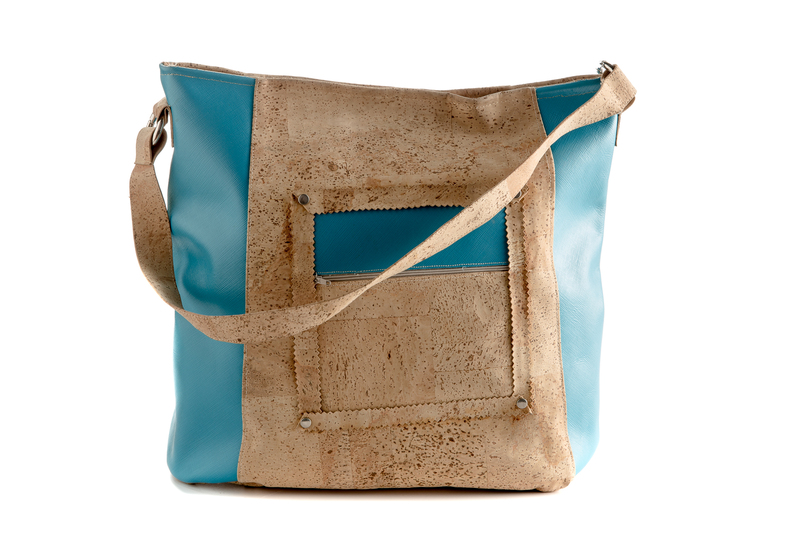 This capacious handbag with a shoulder strap stands out for the original use of cork fabric combined with bright light-blue synthetic leather. Entirely handcrafted, it is produced in many variants of materials, details and customised features. 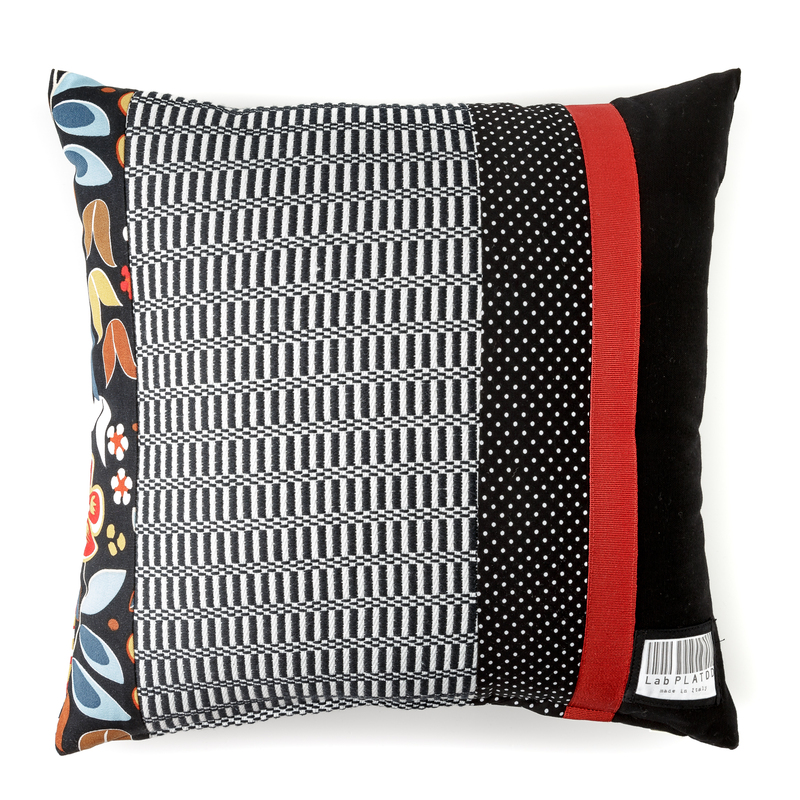 This original cushion is realised using the patchwork technique, combining traditional local woven fabrics with other fabrics in a striking asymmetrical composition. 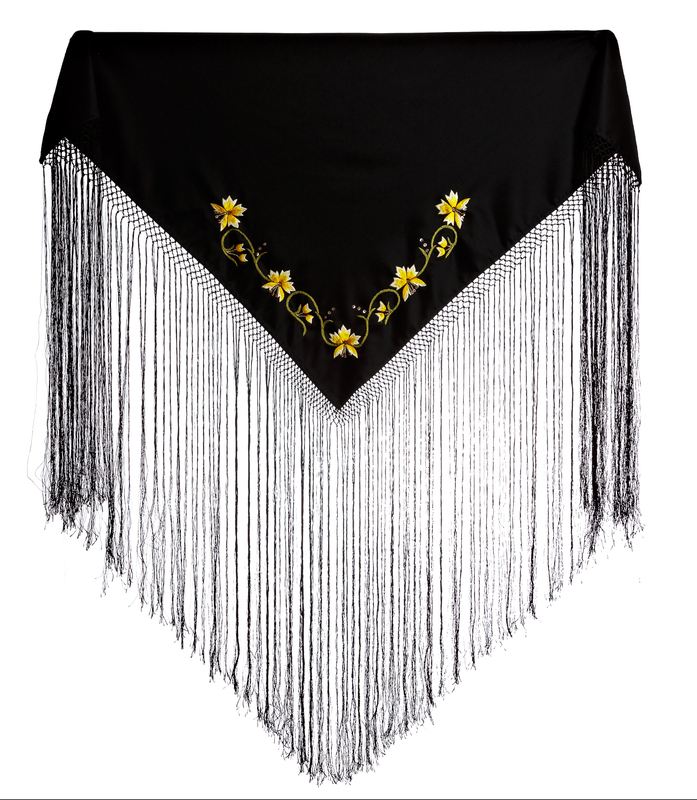 This tibet wool shawl with rich macramé-crafted fringes characterised by an exquisite and complex technique creatively reinterprets the composition of the embroidered flounce typical of the costume of Orosei. 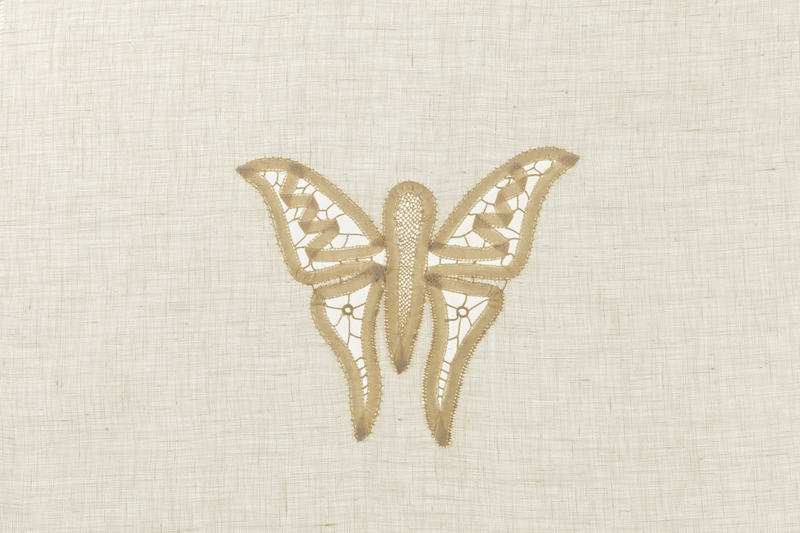 This fine linen tablecloth features a precious weave decorated with Renaissance and "punti in aria" lace butterfly motifs. 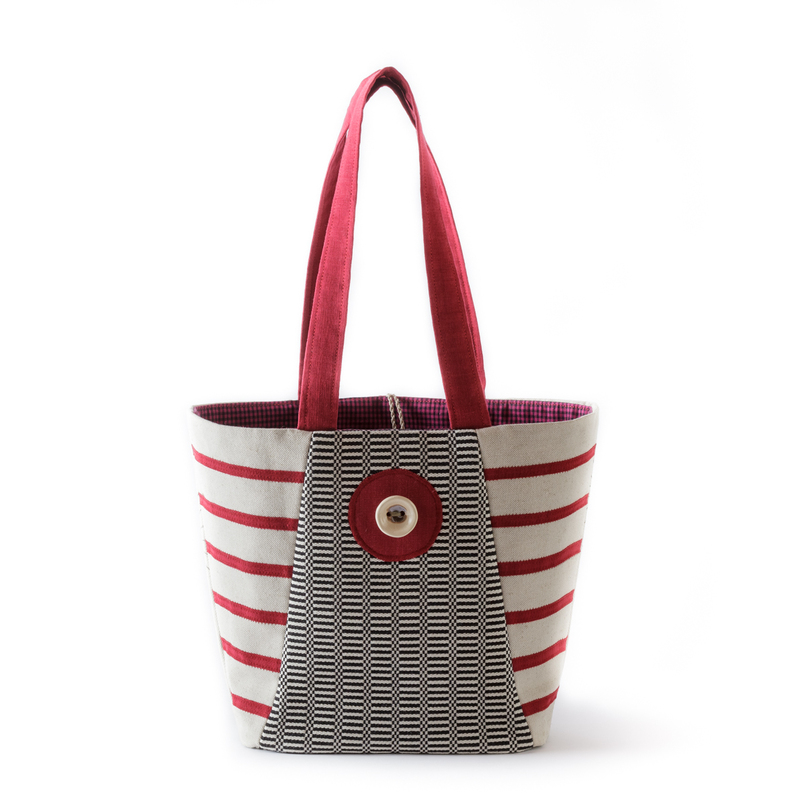 This shoulder strap bag, hand-made with traditional fabrics, linen and cotton decorated with black fabric stylised flowers, has a ceramic button closure manufactured by C+C, and an internal storage compartment. The handicraft production based on the valorisation of textiles is robust, distinctive and successful, connected to the use of traditional weaves featuring beautiful embroideries or decorative and pictorial elements. Aimed at crafting functional and decorative artefacts to be exhibited and worn, it reinterprets tradition with impressive stylistic solutions, evocative and contemporary at the same time. Traditional themes and symbols intertwine and are investigated and explored. Precious fabrics transform, traditional forms acquire new functions, embroidery techniques open up to new possibilities, turning into workshop-specific crafting techniques and distinctive features. The result is a production of unique and charismatic objects, one's privilege to possess.